After writing my earlier post, it occurred to me that I’m not even that big of an Avengers fan and Marvel has been releasing teasers for weeks for an event that I’m far more interested in. 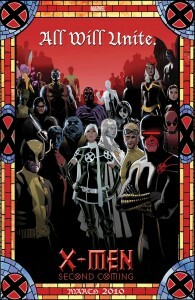 The third chapter in the X-Men: Messiah Trilogy hits this April with Second Coming. A little over two years ago, Marvel had me running to the comic shop on my lunch breaks every Wednesday (I just couldn’t wait until I got home from work) to get the latest installment of their X-Men: Messiah Complex epic. It introduced the first mutant born since the decimation of House of M, and brought back my love for the character Cable who did everything to protect her. 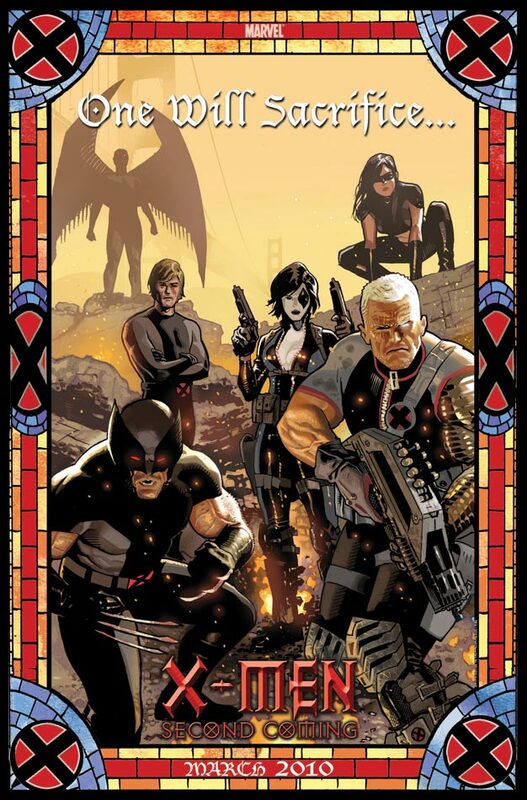 Two new series featuring Cable and X-Force were born from Messiah Complex and they crossed over in the second chapter of the trilogy, last Spring’s Messiah War. The format of Messiah War was slightly different from Messiah Complex, and while it didn’t have the thrill of a weekly installment, I still enjoyed it. 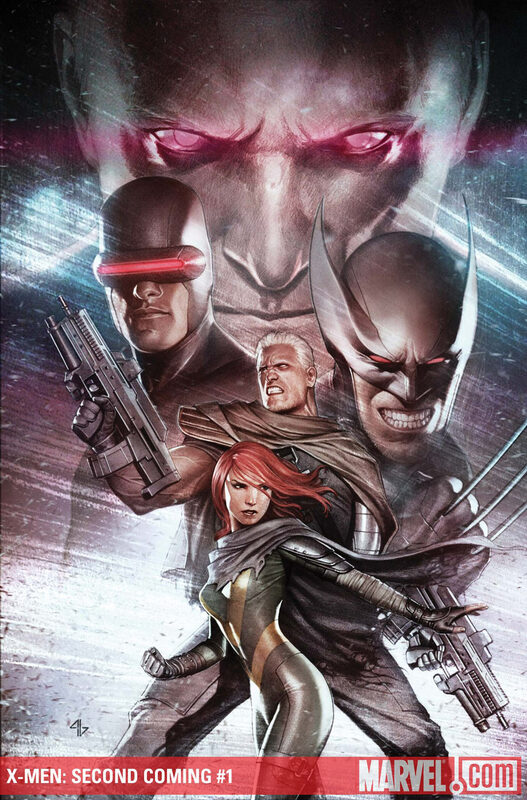 Second Coming on the other hand goes back to the weekly release format running through Uncanny X-Men, New Mutants, X-Men: Legacy, and X-Force. A couple of tie-ins in X-Factor, a mini-series called Hellbound and an opening and closing one-shot (as well as one listed as “classified”) make Second Coming the largest of the three chapters in the trilogy. I can’t really complain since I love this stuff, and considering I already read all the on-going series that are part of the event it’s by no means overwhelming. As we approach Second Coming, Marvel has released the following teasers and their ominous declarations. These images are by artist Daniel Açuna whose style may not be for everyone, but I like it and I’m genuinely looking forward to what’s coming next. In speculation over who these statements may be referring to, given the fact that Cyclops is currently leading the X-Men (and let’s face it so is Emma Frost) the only way the first teaser makes any sense is if Magneto takes over. 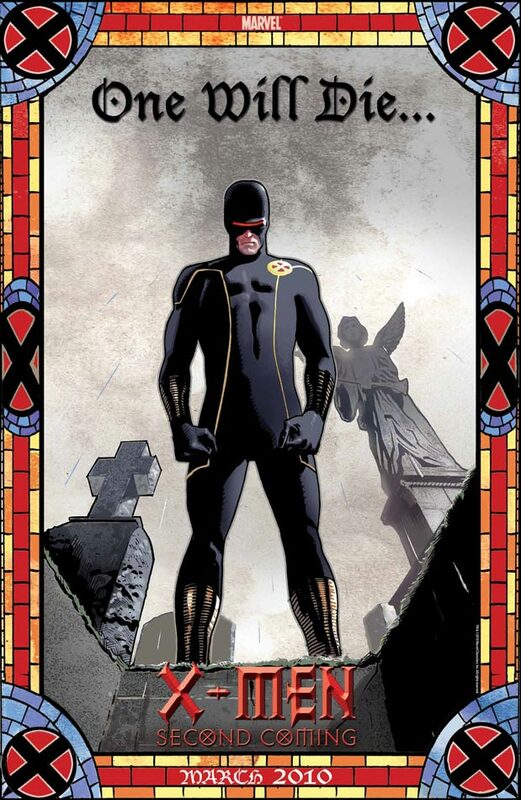 “One will die,” Cyclops standing over the grave, as much as I hate it that seems to be pointing right to Cable. Cable’s living or dying could easily set Hope on a path of salvation or destruction. Which aspect of Hope will rise could depend entirely on his fate. As to who will sacrifice, it would be redundant for it to be Cable since he’s in the image. That leaves the rest of X-Force, and since Elixir claimed to know what Hope really was after they came into contact in Messiah War, he really stands out in that image. We’ll see if I’m right, but I’m happy to be wrong about some of my guesses. 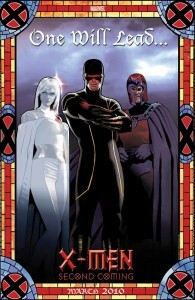 As far as my comics related posts here, let’s be clear, I’m an X-Men fan above all else and I need to remember that. At this point I’ve dropped all of my Marvel books except X-Factor. 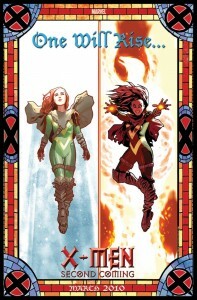 If I have to read five other titles to make sense of X-Factor, I think it may be time to make a clean break. At least until Marvel offers a cheap flash-free and downloadable digital option. And if not, there’s always HTML comics which posts books a few months behind. I’m tempted to buy Secret Avengers but in the end all of Brubraker’s Marvel books have gone on and on and failed to have any payoff… at least while I was still reading the books. None of it compares to Catwoman or Gotham Central or even his short Detective run. Looks awesome!! I really wish that I had the time to catch up on everything that I have missed over the last couple of years. That Marvel online subscription that I’ve been trying to avoid in favor of my certification books might be coming sooner than I expected. Kevin, I trust Peter David to keep the X-Factor stuff contained to just that title. Especially considering the fact that his title crossed over during Messiah Complex and he’s managed to stay out of subsequent crossovers. 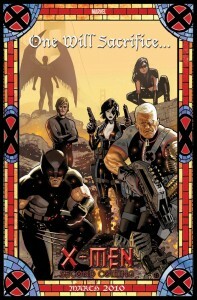 As far as Brubaker, it’s really tough to say how Secret Avengers will turn out, but I’m willing to give it a shot.